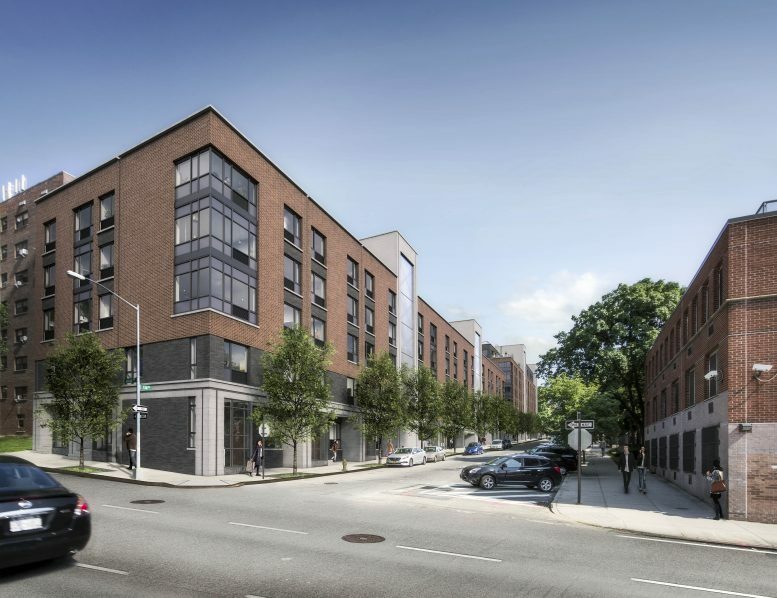 Located at 81-9 134th Street in Briarwood, Queens, a new two-building residential project is being designed by Rawlings Architects PC and developed by The Musso Group. 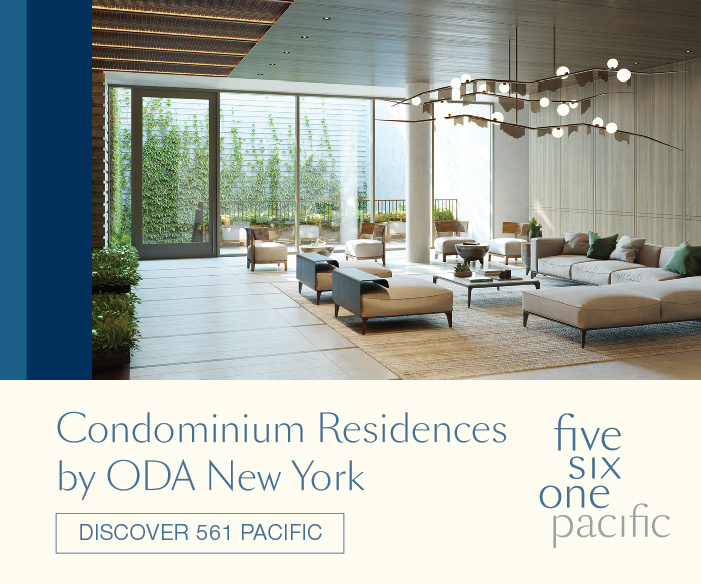 Citi Habitats is marketing the 104 units that will range in size from studios to one- and two-bedrooms, including some ground-floor duplexes that come with private entrances and outdoor space. The complex is divided into two buildings, with “The Noll” housing 54 units while “The Grove” will house the remaining 50 apartments. The exterior renderings of the complex show a mix of red and black bricks with light base stones at ground level, while several sections of the elevations vertically extrude to create the egress cores covered with white stone, and what appears to be translucent glass. Windows for the residential units wrap around each of the corners with almost all windows facing west. The closest subway station is the Union Turnpike – Kew Gardens stop on the E train to the west, past the southern section of Flushing Meadows Corona Park. Grand Central Parkway, Jackie Robinson Parkway and I-678 intersect and crisscross each other near the project site, making commuting to Manhattan or other parts of Brooklyn and Queens accessible by car, including the short commute to the JFK AirTrain. 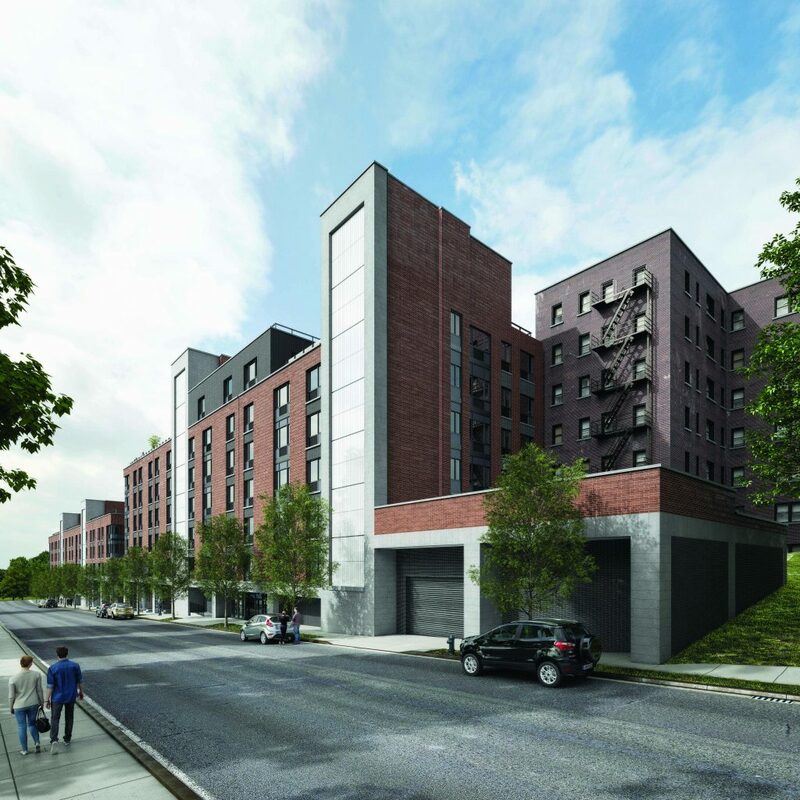 The site itself is located along the intersection of 134th Street and the eastbound side of Grand Central Parkway. 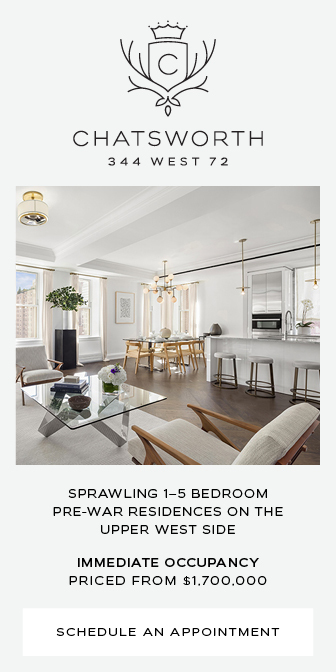 The starting rents have yet to be determined and announced but each unit will have wood designer cabinetry, quartz countertops and stainless steel appliances for the kitchen, hardwood flooring through each unit, Italian porcelain for bathrooms, and nine-foot ceilings. 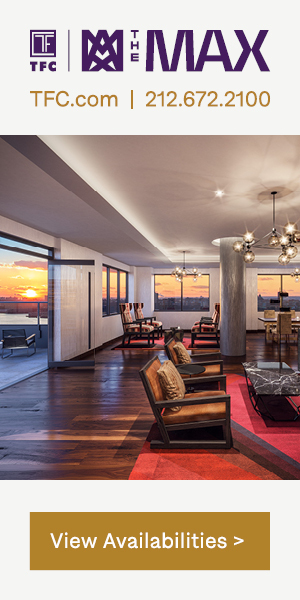 The penthouses on the upper floors will have private terraces and will most likely feature floor-to-ceiling windows. An outdoor pathway with landscaping and gardens will be featured in the back of the building for residents only. Amenities include a ButterflyMX smart intercom for all units that can connect to smartphones for remote security, a fitness center, a residential game room and lounge, individual thermostats for each room in every unit, 24/7 security and underground parking spaces and a pet-friendly building. “I emigrated to this country from Italy with a dream to grow a business for myself and my family. I purchased my first real estate investment with my wife, Elena, in 1954 in Brooklyn. We worked very hard and sacrificed together to save our money and continue to buy more buildings in New York. Over the years my children became involved in the business and now my grandchildren. Now in the third generation, we are developing our biggest projects to date. The development of these two buildings represent the pinnacle of my real estate career. Leasing for the building is predicted to launch next winter, following completion. 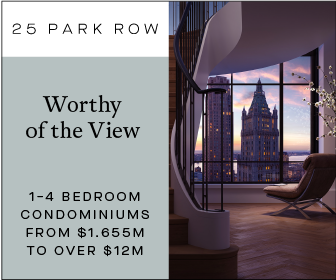 4 Comments on "Exclusive Reveal For The Noll & The Grove, Coming to 81-9 134th Street in Briarwood, Queens"
Please pardon me for using your space: I cannot calculate how beautiful on design, but the total I’m going to love it. They consider Briarwood to be “family,” yet are building a luxury development and driving rents up? They’re jumping on the same wagon that drove the longest-running neighborhood establishment, The Flagship, to close down. Doesn’t sound like they have a realistic view of what they’re doing, or at least aren’t being honest about it. 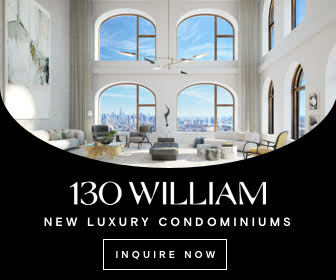 Not to mention that the location of this development is awful. It’s right on the highway and people are constantly driving down 134th St. to get to the Grand Central. Also, better hope there are enough “underground parking spaces” so this doesn’t affect the already horrific street parking situation in the area. Supply does not increase price! Is that a homeless shelter across the street?